It also covers more advanced topics such as the development of multiple models of a system and the distinction between causal and intentional systems, illustrated with numerous examples, crossing a range of systems including warships, libraries, and petrochemical plants. 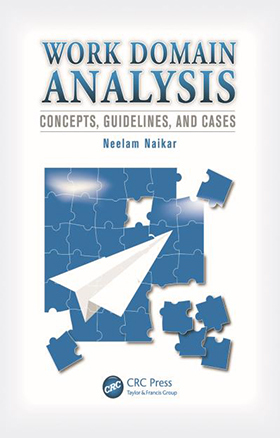 Guidelines for performing work domain analysis and three detailed case studies assessing the impact, uniqueness, and feasibility of applying work domain analysis in industrial settings are described as well. Published by CRC Press, Taylor & Francis Group.